16 inches (41 cm) – Falls perfectly around the base of the neck like a collar. On a petite woman it hangs loosely around the neck and falls just at the collarbone. On a plus size woman it might sit more like a choker. 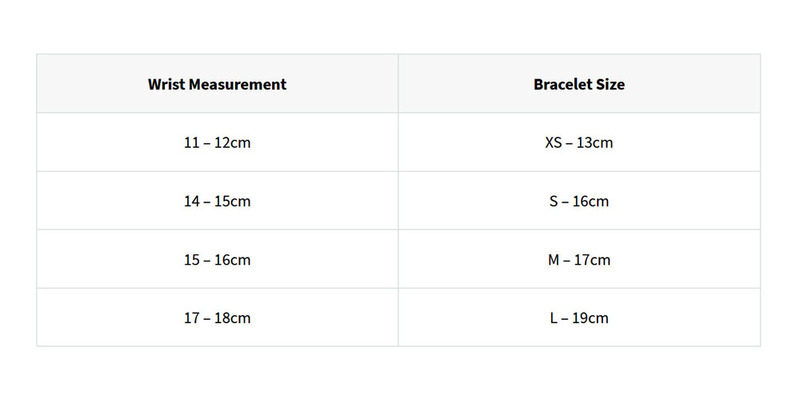 18 inches (46 cm) – Princess length, a common choice for women. This length usually sits elegantly at the collarbone. 20 inches (51 cm) – Matinee length, which usually extends just a bit below the collarbone. 22 inches (56 cm) – Falls at or just above the top of the bust. 24 inches (61 cm) – For a necklace that falls around the bust. 18 inches (46 cm) – For men with smaller neck sizes. This length should come down to the base of the neck. 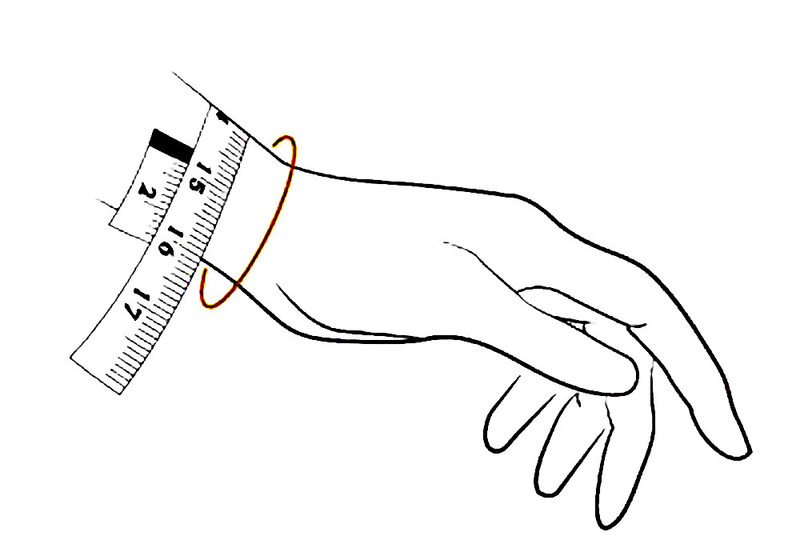 20 inches (51 cm) – The most common length for the average man, which comes down to the collarbone. 24 inches (61 cm) – For a necklace that comes down to a point just above the sternum. 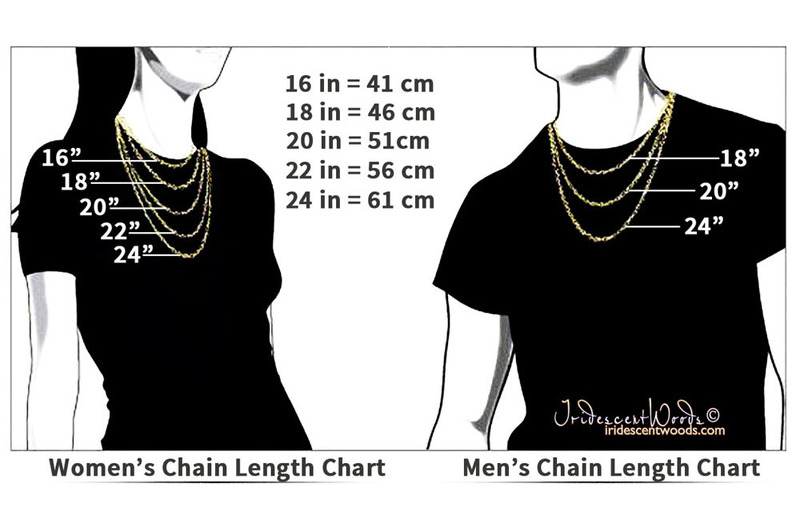 Children are typically smaller in height and frame, so the standard sizes for necklace lengths vary from adult standards. Most necklaces made for children fall within a single range: 14 to 16 inches (36 to 41 cm). 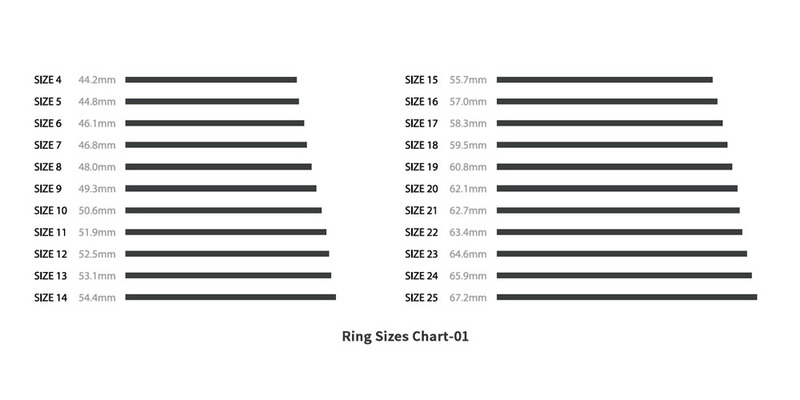 Compare the length to determine your ring size. If yours are between sizes, order the larger size. 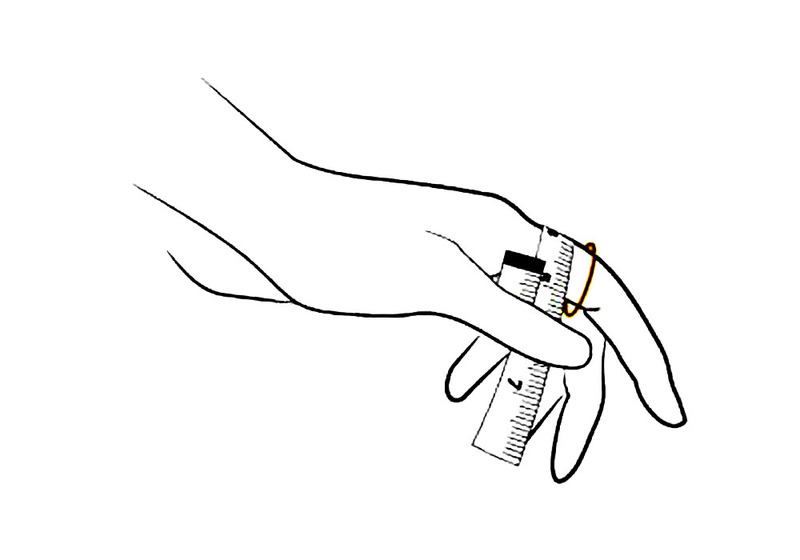 Measure a ring that fits you or your intended recipient. 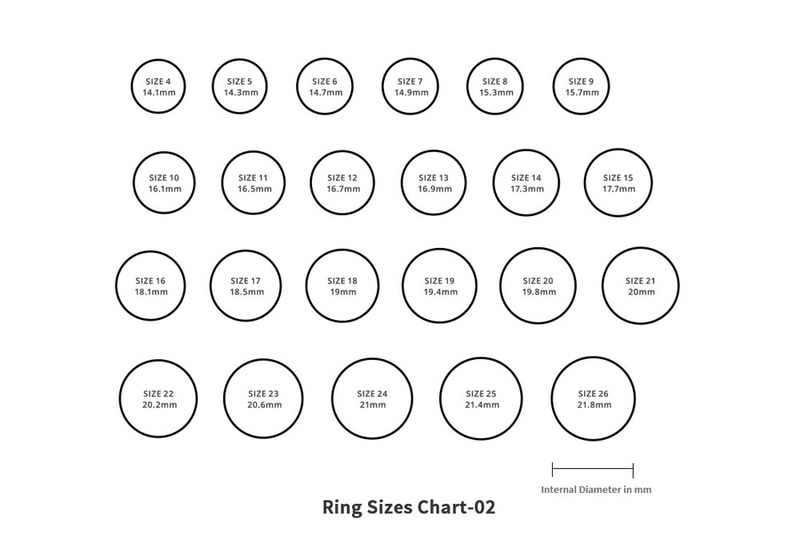 Place a ring that fits you over the circle making sure the inside of the ring lines up with the outside of the circle. If yours are between sizes, order the larger size. Choose a great-fitting ring—one that fits snugly, but isn’t too tight. 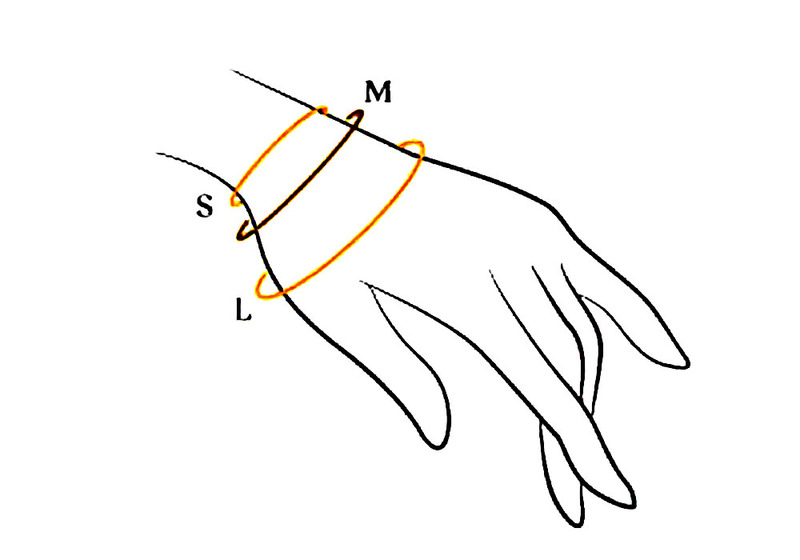 Make sure the ring fits the correct finger; even your two ring fingers can be different sizes! If you’re stuck between two close sizes, go for the larger size. The average woman’s ring size is about 10-13. The average man’s ring size is about 15-18. 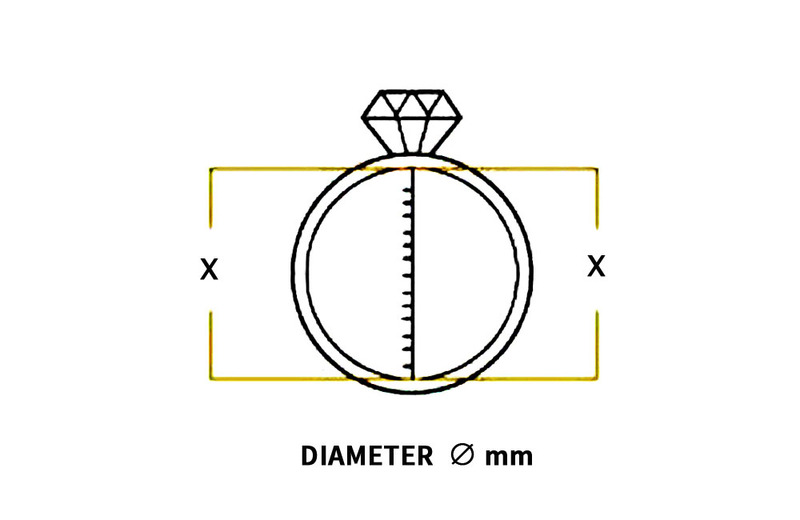 If you require a different size than listed or know your finger circumference measurements, please write in the Note to us when you purchase your ring and we will make it in your size.